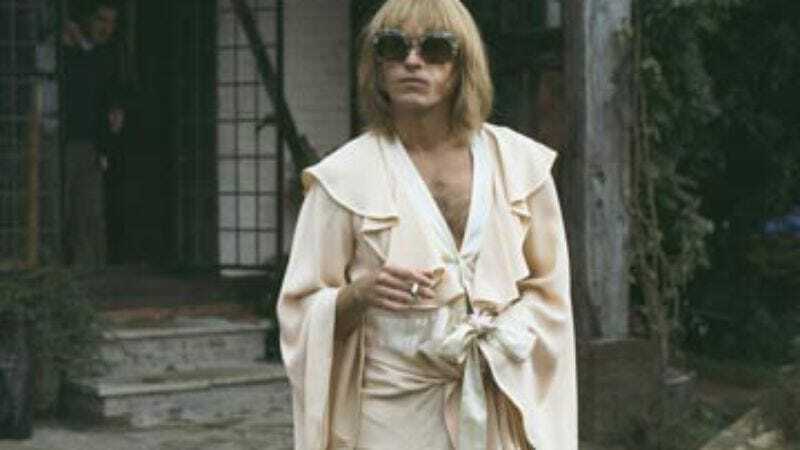 It'd be a gross exaggeration to call Brian Jones forgotten, but it isn't like he's the first name that comes to mind when most people think of The Rolling Stones. Which is unfair, really, since Jones was a founding member and a driving force behind the Stones' initial success, their signature guitar-weaving sound, and the experimental touches on some of their biggest hits. He was also, by most accounts, as self-destructive a character as ever lived. After Jones drowned in the backyard pool of his country estate (previously owned by A.A. Milne) a few weeks after parting ways with the band, Pete Townshend published a poem titled "A Normal Day For Brian, A Man Who Died Every Day." But that hasn't stopped the flow of theories positing causes of death other than rock 'n' roll excess. Most involve a live-in builder named Frank Thorogood, who, by some accounts, confessed to the crime on his deathbed. The biopic Stoned buys the Thorogood theory and attempts to use it to explore, once again, the dark side of the '60s. A master of slow-building anger, Paddy Considine (My Summer Of Love) plays Thorogood, a working-class Jones employee who's drawn to his boss' excessive lifestyle but infuriated by how far such a life remains out of his own reach. It's an intriguing approach, and one that catches fire in a few scenes, as when Jones (Leo Gregory) offers his gorgeous girlfriend to Considine in the name of "free love," only to rescind the offer. But mostly, director Stephen Woolley and screenwriters Neal Purvis and Robert Wade (both James Bond veterans) resign themselves to a biopic-by-numbers approach, jumping back to key moments in Jones' life while building up to the moment of his death. (Jones: "I was always my own worst enemy." And… cue flashback.) Apart from Considine, the actors all deliver superficial performances beneath several layers of slathered-on Summer Of Love drag, and Woolley's use of multiple film stocks and flash-cut editing jumbles together a bunch of '60s filmmaking clichés without putting them to any particular use. Sure, Jones deserves to be remembered. He also deserves a better memorial than this.